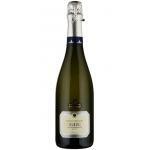 Col Vetoraz is the maker of this Col Vetoraz Prosecco Extra Dry (£8.36), a sparkling wine from the region of Prosecco Di Conegliano-Valdobbiadene with glera grapes and shows an alcoholic content of 11.5%. According to Uvinum users, this sparkling wine earns 4,4 out of 5 points and in guides it has been reviewed: wine spectator: 82. 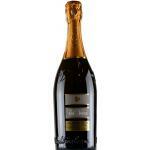 Col Vetoraz Prosecco Extra Dry is made with the Charmat method. This Prosecco Extra Dry wine has a persistent perlage. 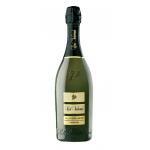 It's a fruity sparkling, easy to drink, enjoyable. To be sipped with friends as an aperitif. 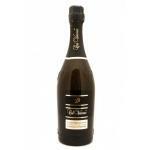 - Nose: fruity aromas of pear and green apple. 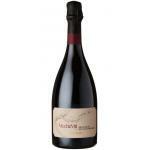 - Mouth: full, fresh, fine perlage, delicate and pleasant fruit flavors. WINE PAIRING: appetizers, pies, steamed fish and crustaceans. Miotto Family settled down in Col Vetoraz in 1838 and started growing vines (Prosecco Superiore and Cartizze Superiore). 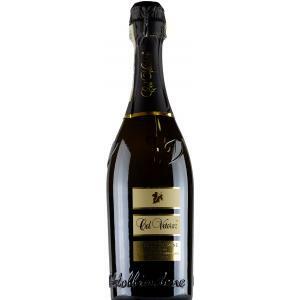 If you want to buy Col Vetoraz Prosecco Extra Dry, at Uvinum you will find the best prices for Prosecco Di Conegliano-Valdobbiadene sparkling wine. Buy it right now at Uvinum, wherever you are, via your mobile device or computer. We offer over 59.000 products on sale which makes us leaders in the sector of selling wine, beer, and spirits in Europe with more than 38.000 customers trusting us.